From diagnosing challenges and opportunities to reach potential patients, to prescribing industry-specific strategic solutions, our healthcare clients take care of the health of others; we take care of the rest. The Florida Department of Health, CAN Community Health, Broward Health and Mid Florida Eye Center are just some of the organizations that have put their trust in us. We invite you to examine our case studies below. Want to stay ahead of the curve in the ever-changing world of advertising? 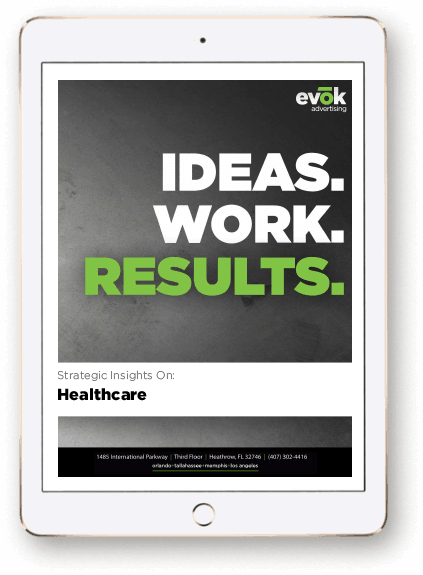 Get the latest insights on the healthcare industry in our e-book.